Felt like a completely different car after the tune. Awesome throttle response much better overall performance. At TRIFECTA we believe it is our responsibility to serve the community first, and that the rewards for doing so will follow. This article is about a recent encounter we had with a member of the community, how we served him, and how, by doing so, also helped contribute to our tenet of “Continuous Improvement”. 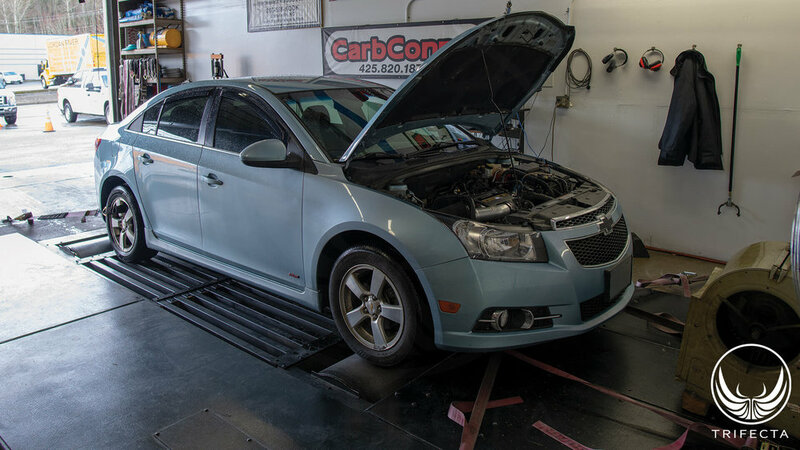 A TRIFECTA Chevrolet Equinox calibration customer of about a year contacted us about his other car, a Chevrolet Cruze which was tuned by another company. He stated he was having issues with it going into “limp mode” under various conditions and setting various diagnostic trouble codes (DTCs). After some discussion, we learned he was within a few hours' drive of one of our R&D centers, so we offered to investigate the issue for him at no charge, as a courtesy. One of the concerns we have when challenges like this arise is the breadth of issues that might have arisen on the vehicle. This is a vehicle that's over 5 years old, and has around 100,000 miles on it. It's been modified, and has unusual issues with it. So, we told the gentleman that the first thing we were going to do is perform a full inspection on the car, on a lift to look for anything that might be causing or contributing to the issues and if we had any reservations based on what we discovered whatsoever, we may not be able to proceed. This car turned out to be in excellent condition for its vintage. The only issue we found was a slight oil leak on the oil pan, but overall it was in very good condition and had been well maintained. Our general consensus was this is a decent tune – power delivery was smooth, good AFRs, no knocking, etc. However, we discovered that the ECM was closing the throttle blade because the turbo was generating more boost than it was supposed to (overboost). This caused a power drop (see red circle). 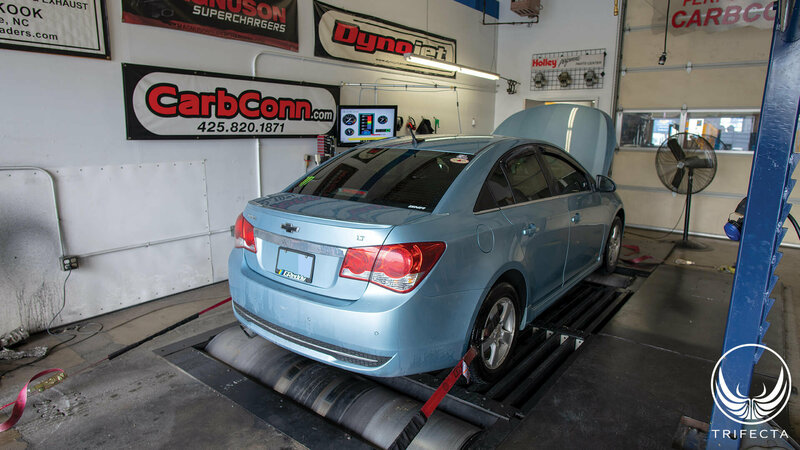 After further study of the data from the vehicle under various operating conditions, we found it had a general overboosting problem and suspect this was at least a contributing factor to the “limp mode” issues the vehicle owner had experienced. 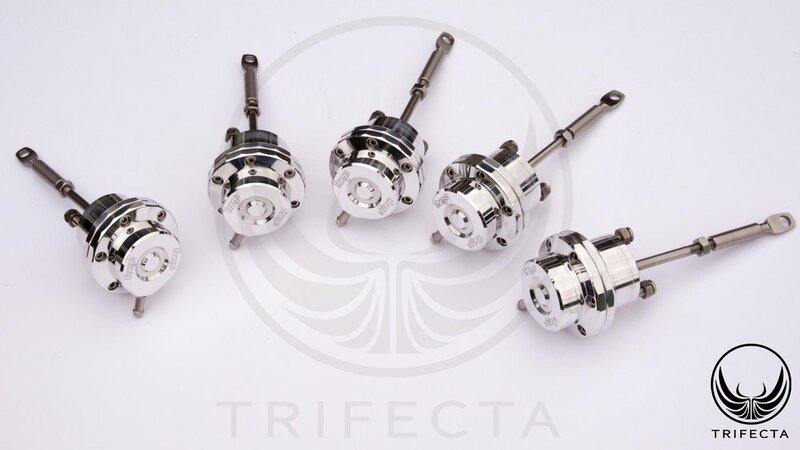 The TRIFECTA production tune carried the power further into the power band at higher RPM, delivering an almost 8 horsepower at the wheel (whp) gain, but had lower torque and horsepower output because it was calibrated for the OE wastegate actuator. Remember, the original issue the vehicle owner had wasn't with the power. It was with the fact it was going into “limp mode”, so our goal wasn't immediately to shoot for the moon on power. Rather, it was to determine if we could get the boost control accurate enough so we could be sure the vehicle would behave correctly if everything is in working order. We had previously spent a solid week on the dyno (and much more testing under regular driving conditions) with our own vehicles to develop TRIFECTA support for the Forge wastegate actuator with the yellow spring (and its derivatives), so we had a proven calibration to start with. There is still a very slight overboosting on spool up, but that is considered acceptable by the ECM. After that, you can see the green line stays right on or slightly below the blue line now. No more overboost! A chassis dyno is an incredibly useful tuning tool, and the dynos that have the eddy current loading system are even more invaluable for simulating various load conditions. However, street testing is crucial, and with an issue like this where the vehicle “limps out” under various conditions, the street testing is, in reality, even more important. So, we took the car for an hour long drive on the street. Residential areas, highways, downhill, uphill, corners, driving lightly, driving aggressively, winding the RPMs out, lugging the engine, everything we could to test out our boost control settings. Not once did we encounter a “limp mode” event. Having declared the wastegate settings correct, we moved on to the next step! 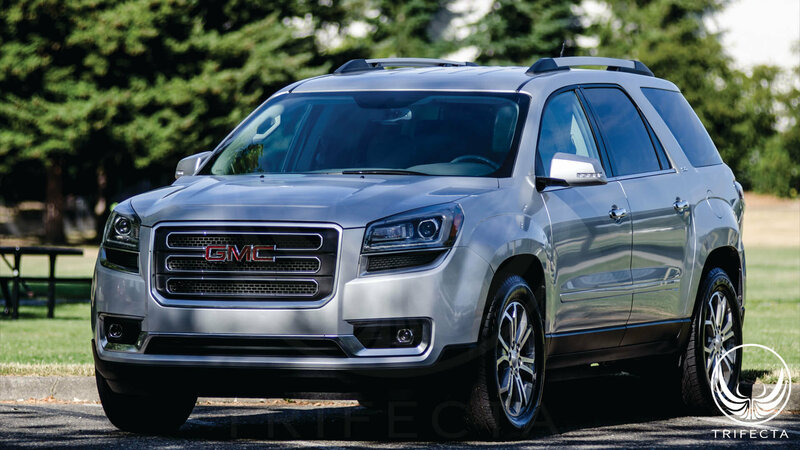 The vehicle owner was very pleased with not only the power gains, but also that we had simultaneously resolved the “limp mode” issues to a large degree and introduced a new quality of refinement and smoothness to the way the vehicle drives on the street. Time will tell if it's truly resolved, but we will continue to actively follow up with the vehicle owner and collect additional data as needed. This was also a rare opportunity to meet a member of the Cruze car enthusiast community we consider ourselves proud to serve. We ripped around in the car, had lunch, traded ideas for car modding, joked about life in the automotive business, and just plain old had a good time. We regard every opportunity we are privileged with to work with customers directly an opportunity to improve our knowledge, experience and calibration techiques. 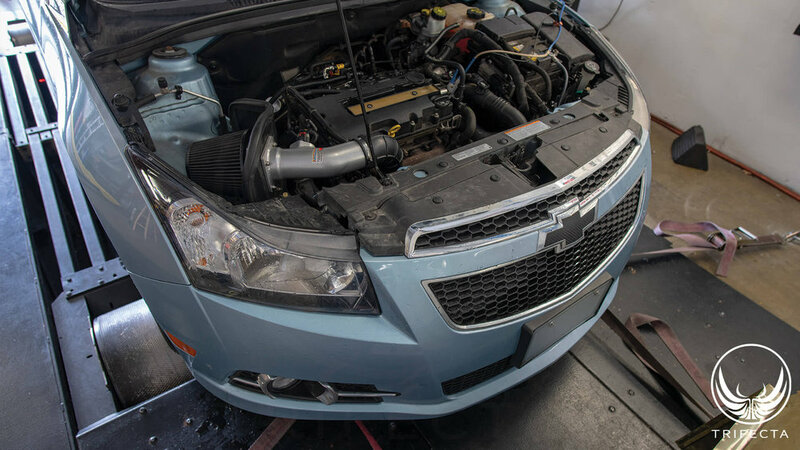 Thanks to the owner of this Cruze, and his familyfor taking the time to be involved in this project, we learned some things that we believe will lead to improvements in our production level products as well. 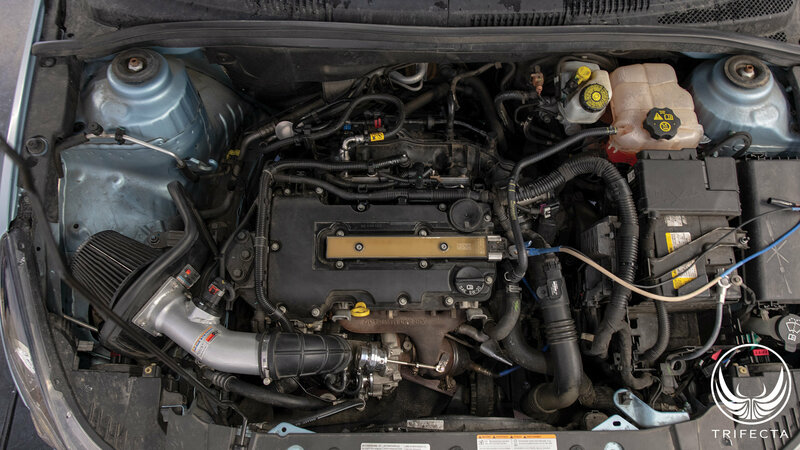 Namely, we believe some (likely not all) of the gains we found as we optimized the torque and horsepower bands for the upgraded wastegate actuator may be possible to a certain extent on the OE wastegate actuator as well. And we learned how some of the wastegate ports can flow differently from one turbo assembly to another. Everything we learn along the way becomes part of the product updates we release in the future, to our customer base.